Public opinion related to how law enforcement officers handle de-escalating volatile situations is divided. But, there have been many positive outcomes arising from recent incidents, including a broader conversation on policies and tactics. It’s imperative that those orders are tailored in a way so as not to limit the ability of officers to determine lawful use of force and an appropriate response, since the greater goal is to increase officer and community safety. 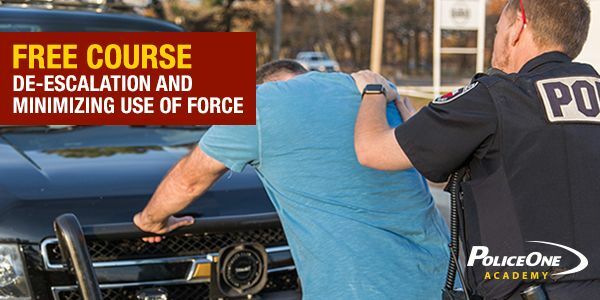 For the month of October, PoliceOne and PoliceOne Academy are offering our members free access to a 2-hour online course, 'De-Escalation and Minimizing Use of Force’, which provides essential training on addressing these challenging situations and providing promising solutions. Learn more about October's free course here.